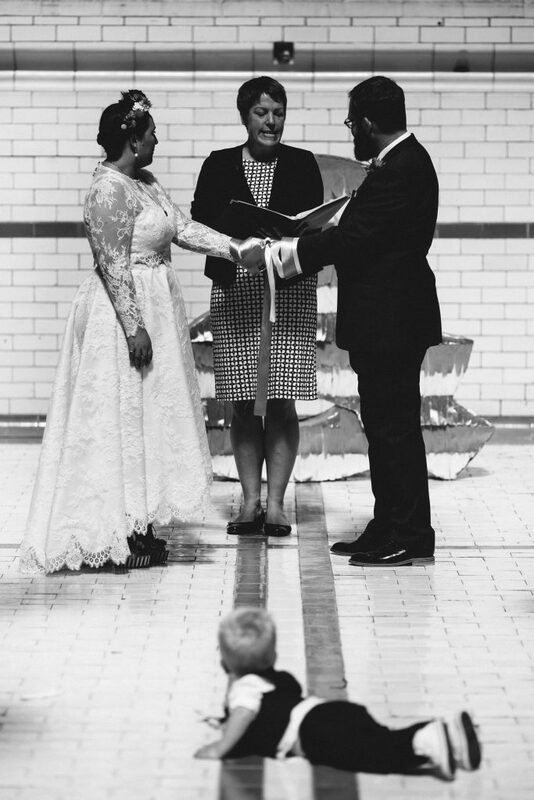 Recently in the ‘wedding-sphere’ Humanist ceremonies have been a hot topic! The reason being is that Humanist ceremonies are still not currently recognised as legally binding in England or Wales (though they are in Scotland) so couples have had to pop to their registry office or licensed venue and have a separate ceremony to legally marry and then have a Humanist wedding (or the other way around). 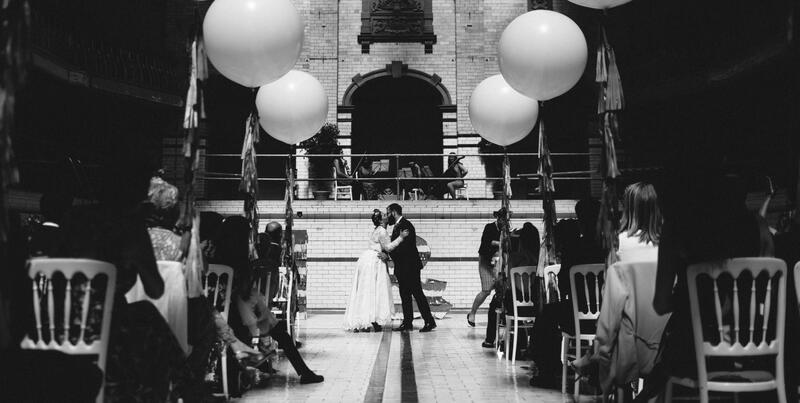 We wondered why more couples are now choosing to have a Humanist ceremony, despite the hassle, so we decided to speak to Humanist Celebrant Hannah Wroe Gill about what Humanist ceremonies are all about and why they are a great alternative to just having a standard ceremony. 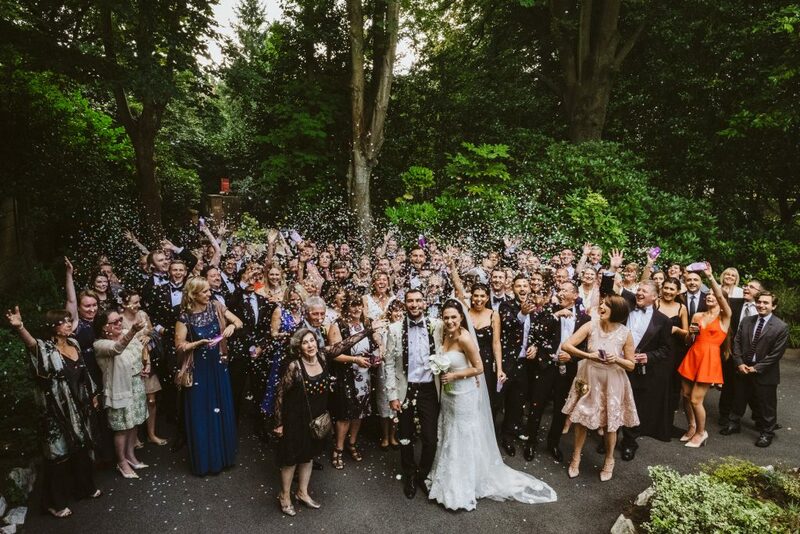 “An authentic Humanist wedding ceremony is entirely non-religious, bespoke and focused on the couple at the heart of the ceremony (often including their nearest and dearest too). They can take place almost anywhere, as long it makes for a viable location/venue, in licensed venues or those without. Generally, a Celebrant would work with a couple to gather information from them in order to write them a unique wedding script and then they would lead the ceremony on the day. How does it differ to other ceremonies? “I think it’s fair to say there is nothing else like them out there, although you should bear in mind I’m entirely biased as I do this for a living and love what I do! Starting with an entirely clean slate each time means I can work with a couple to make sure we create something totally fitting that genuinely reflects their personalities, lives and relationship. I can involve their children if we would like to. I can contact people close to them to involve them in a certain part of the ceremony. I can tailor every decision I make about the ceremony to what suits them best. It’s an extraordinary process and one that, if done with care, effort and passion, creates an extraordinary ceremony. I think the other notable aspect is how inclusive and enjoyable well-led Humanist ceremonies are. None of the guests know what it is I’m going to say so they listen intently, they applaud, laugh and cry in equal measure and they can’t stop talking about the ceremony when they have a drink in their hand afterwards. When should you approach a Celebrant? “As early in your planning as possible. All too often I hear from couples who have booked the venue, caterers, make up artist, florist, band and car but who are only now looking for a good Celebrant and can’t find one. How do you find the right Celebrant for you? “Whilst every good Humanist Celebrant should be offering a non-religious and bespoke ceremony, everyone has a different approach and way of working, so it’s important to do your homework. 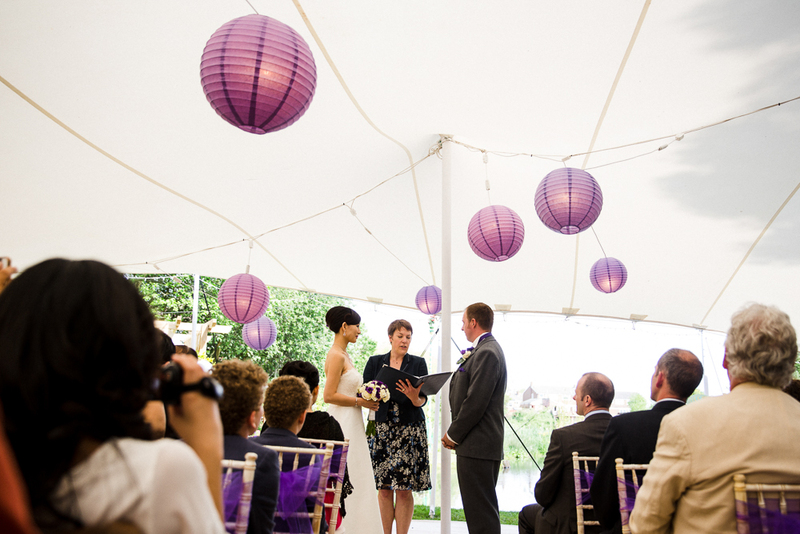 How will a Celebrant help me to create the ceremony of my dreams? Do I have to be a Humanist to have a Humanist wedding? “I think there’s a common misconception that to be a Humanist is similar to being a member of a faith group in that you have to ‘sign up’ to in some way. It isn’t. Humanism is very much a life affirming way of looking at the world that goes back to the beginnings of philosophy. At the heart of the perspective is the belief that since we only have one life, we have an obligation to ourselves, and to others, to live it to the full, and that there is no higher power determining our fate – it’s up to us. We should seek to help others as much as we can along this journey that we share. We should turn to reason, to experience and to each other, to answer the questions that we can. What is the one piece of advice you wish you could give all couples who are engaged to be married? “Aside from advice about planning, I’d say make sure you take the time to really savour and enjoy this phase of your relationship. It’s such a special time. In terms of their actual day, I’d recommend concentrating their thought, time and money on the things that will have the biggest emotional impact on their own experience of their wedding, as well as everyone else’s. It’s easy to get caught up in the wedding whirl and forget what’s really important. Nobody leaves a wedding saying how much better it would have been if only the tablecloths had been a lighter shade of pale. So if you’d like to throw convention out of the window and walk down the aisle together so you can share that memory, do it! Think about how your guests can be made to feel welcome and a part of things from the very start. Talk about whether you want to spend 5 minutes together alone after your ceremony, just to take it all in before you rejoin the happy fray. Spend on the things that make people joyous (colour/music/good food and drink/a fire etc) and save on the things that tend to blend into the background. Make time to actually spend time with the people you’ve invited and talk to them.